I recently unpacked my old Nintendo 8-bit and plugged it in to my brand new LED-TV, but immediately realised something wasn’t quite right. Mario was a bit too sharp and angular than I remembered him. 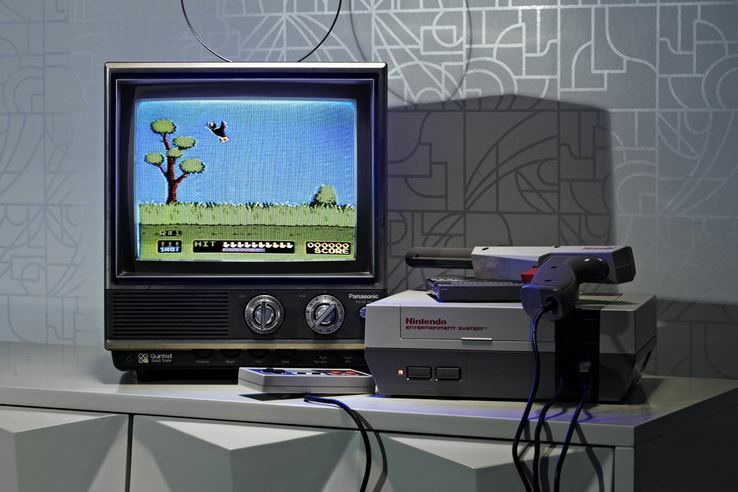 The high resolution of new TV’s are simply not fit for the old video game consoles. So what to do? Well, there was only one solution – I took the car and drove a few kilometers to a small place outside Gothenburg and bought a 14″ CRT-TV! (Actually, I bought two in case one of them should’ve been broken. Or just as a spare one, since I think these rarities will be hard to lay hands on in the future). So now there’s a shiny little “fat” TV standing next to my bed where I can enjoy the NES classics as they were ment to be – in superfine low resolution!